To be applying online can be easier than apply for off-line or postmarked the Scholarships. It can save both your time and efforts. That’s why at Usascholarships.com, we have compiled a list of best free online grant and scholarship programs to help you to get award prize for your college education. The given list has the excellent scholarships such as Royal Business Bank Scholarship Program, The Worldstudio AIGA Scholarship, Spence Reese Scholarship etc that are offered by various Organization, Institution and Foundations. These scholarship programs are open to graduate, undergraduate, high school seniors and college freshmen. The award range of scholarships varies from $1,000 to $100,000. If you’re a student looking to online scholarships check out our directory of scholarships. The application for the Google Lime Scholarship Program is now open! The highly selective program is open to accomplished undergraduate, graduate or Ph.D. students, who are pursuing a computer science or computer engineering degree, or a degree in a closely related technical field in college or university. Award amount is $10,000 for those studying in the US and $5,000 for those studying in Canada (based on tuition costs). 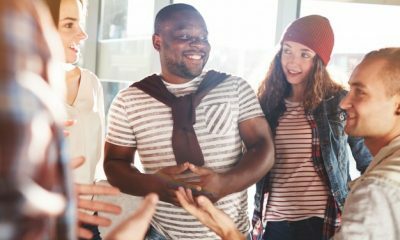 The Actuarial Foundation promotes diversity through its annual Scholarship Program for Black/African American, Hispanic, Native North American, and Pacific Islander students. The program is open to entering college freshmen and a full-time undergraduate student who is studying at a U.S. accredited educational institution. The Actuarial Foundation will award a total of $10,000 for its Actuarial Diversity scholarship. If you’re under 23 and working on a cool project or company, the Thiel Foundation wants to hear about it through their “The Thiel Fellowship Program”. Thiel fellows skip or stop out of college to receive a $100,000 grant and support from the Thiel Foundation’s network of founders, investors, and scientists. Eligibility: Candidates between 20 and 30 years. Deadline: There is no application deadline. Have you read one of Ayn Rand’s thought-provoking novels? Now’s the time! Enter in Ayn Rand Institute Essay Contest for your chance to win thousands of dollars in cash prizes. The contest is open to worldwide for 8th, 9th or 10th-grade students. This year they will award over 500 prizes totaling more than $90,000. Eligibility:8th, 9th or 10th grade. Announcement: If you’d like to get back more than a simple refund this year, enter Tax Act’s Get a Raise Not a Refund Sweepstakes. With one simple form, you will be on your way to much more than the chance at $10,000. This contest is open only to legal residents of any one of the fifty United States or District of Columbia who is at least age 18 or the age of majority under applicable law. Eligibility: At least age 18 (or the age of majority under applicable law). Worldstudio Foundation, in conjunction with AIGA (American Institute of Graphic Arts), the professional association for design, provides scholarships. The program is available to undergraduate or graduate students who are in financial need and pursuing a degree at accredited colleges and universities in the United States. The winners of the scholarship will receive range from $2,000–$3,000. The Boys and Girls Clubs of Greater San Diego (BGCGSD) Foundation is proud to announce the four Spence Reese Scholarships in the Medicine, Engineering, Law, Political Science fields of study. The program is available only to male high school seniors who are pursuing or plan to study in four years degree/course at accredited college or university. Scholarship award amount range from $2,000-$6,000 per year for four years study. Open Road Films and Participant Media, with support from First Look Media, are sponsoring a fellowship of up to $100,000 to be awarded by The Boston Globe for one or more individuals or teams of journalists to work on in-depth research and reporting projects. The fellow or fellows must be willing to team up with reporters and editors from The Boston Globe Spotlight Team and accept Globe editing for the story or project. During the entire year of 2016 and beginning of 2017, Lenovo will be giving away two Lenovo prizes a month, one PC and one tablet. The candidates must be legal residents of the fifty (50) the United States and 18 years of age or older at the time of entry. The Sponsor in its sole discretion will determine which prize each winner will receive. ARV of all prizes is $8,398.